Say what? What is frogging? I’m asked this question all the time, “Brittany, what is frogging?” So if you haven’t heard of this one before don’t worry, you’re not alone! Frogging is the act of pulling or ripping a project out, stitch by stitch. We’ve all been there – started a project because we were very ambitious or inspired one day and as the stitches wore on, grew tired or fell out of love with it. I’ve done it more times than I can remember. Pulling out stitches has absolutely nothing to do with frogs, right? So where did the term “frogging” come from? It’s silly, really. When we pull our projects apart, we “rip it, rip it” stitch after stitch. That kind of sounds like “ribbit, ribbit” doesn’t it? The term frogging was coined (by an unknown person) based on this silly similarity. Typically we frog our projects by hand, pulling frogging our projects one stitch at a time. We often do so for an entire project or a large portion of one (usually after finding a big error or just losing interest in it). As if frogging an entire project isn’t bad enough, what we discover during the process is even worse – all. the. yarn. everywhere. There’s no order, no neatness, no mercy. We frog and the yarn flies. Have you found yourself in a pile of ramen noodle-like mess before? One evening I spent thirty minutes (reluctantly) frogging an entire project after finding an error I couldn’t live with. During my frogging session, the yarn pile shifted and created a tangled mess. I spent another thirty minutes untangling and winding the yarn, by hand, into a ball. Not how I like to spend an hour of my time. That’s the last time I waste my precious time frogging and winding. It makes so much more sense to do it all at once! A few years ago, I purchased a Boye Electric Ball Winder and mainly used it to wind left over bits of a yarn skein until recently! My epiphany moment happened the next time I had to frog a big project. Why not use my yarn winder to help me frog and wind my project at once? It’s genius if I do say so myself! Here’s a quick demo video I put together so you can see how this works. As you saw from the video, it’s not completely fool proof. 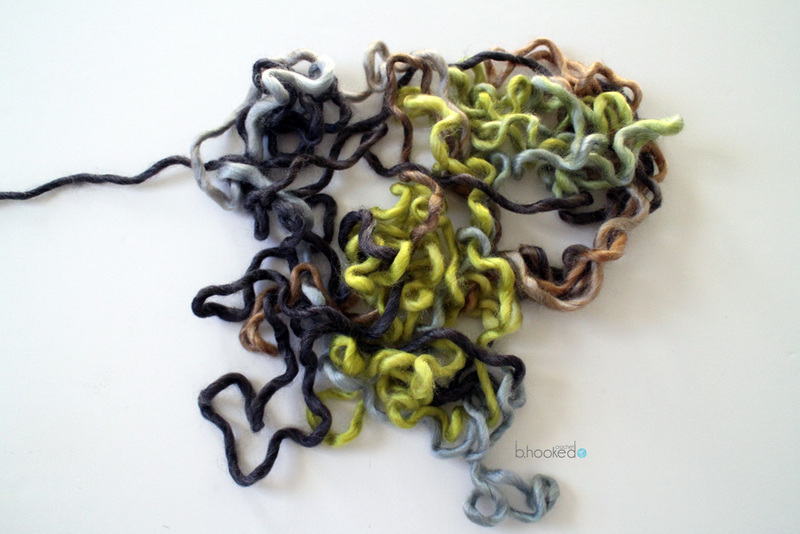 Frogging roving style yarn is a complete nightmare in any situation, with any tool. However, even though my current “need to frog” project used roving yarn and I had to help pull the stitches apart, I literally spent half the time it would have taken to frog by hand and wind it into a cake. The real magic happens when you aren’t working with roving style yarn. The stitches pull apart with ease and the machine does all the work. Don’t believe me? Try it, seriously. I would have added this into the demonstration but I didn’t have the heart to frog a project that wasn’t on my “need to frog” list. As I mentioned in the video, I’ve worked with the Boye Electric ball winder enough to feel comfortable recommending it to you. It’s not perfect but it gets the job done and it doesn’t require hand cranking (I have achy crochet wrists too). If you would like to purchase your own frogging machine, these yarn winders are available at Michaels, Joann’s, Hobby Lobby and Amazon. If you’ve received any value from this post or others that I’ve published and would like to give back in some way, shape or form, may I suggest purchasing your winder through my Amazon affiliate link? At no additional cost to you, I will be given a small commission for your purchase. If you plan on purchasing your winder online anyways and you like what I’m doing here at B.hooked Crochet, it’s a win win situation for us both. If you decide to do this, thank you so much! By clicking the image below, you will be directed to the Amazon.com listing for the Boye Electric Winder through my affiliate link. If you already have a crank winder, you can use that too! I hope you’ve enjoyed this quick little tip that I’ve picked up over the years. I hope it saves you a lot of time and frustration! Again, if you use my affiliate link, thank you! It’s these small “pay it forward” type of gifts that cost you nothing but mean everything to me. Your contributions fuel the equipment and creativity behind B.hooked Crochet.